For your convenience, we have placed several often asked questions we get here at Delta Locksmith in Houston and their answers. A: Having a professional expert locksmith service is insurance that in any case related to your locks and alarms, be it residential or commercial, you are covered at all times. We tend to house locks, car locks, alarm systems, different keys and security technologies, so that you can be completely relaxed. We also take care of rekeying, duplicating, and even solving problems of getting locked out of your home, your office or your car. Q: What kind of locksmith services do you provide? A: We and our network of affiliates perform every locksmith service imaginable such as lock picking, lockout solutions, key duplication, lock replacement, alarm system installations, assistance with security options and more. Our professional certified locksmith experts can pretty much take care of anything, leaving you with little to worry about. A: Anywhere you may reside in Houston one of our professionals is nearby and is guaranteed to be there by your side in really fast response time. 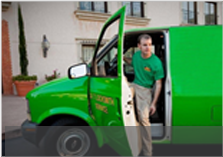 Our number and staff are fully operational 24/7 and will dispatch a specialist to wherever in Houston you desire. Q: How do I know if I need a locksmith? A: That is what we are here for. Our on-call center operates around the clock 24/7 throughout the year. If you think that you might need our services to call us and one of our representatives will be happy to give assistance with any question you may have. Our goal is for your queries to be answered and we will decide together whether a specialist is needed. Q: What is the best time to call? A: No time is better than the present. Since there is no waiting on line for us to respond, the only real question is whether or not you should call now or when a problem arises. The answer is that calling ahead of time is the best time. Since our coverage includes a wide range of professional services, calling now would be a great way of securing an all-inclusive coverage for your entire emergency locksmith needs. Q: You offer a lot of different services. Does that mean your prices reflect this? A: We pride ourselves for being a service meant to serve. That is, we have been a longtime member of the community here at Houston, and feel that a great and professional locksmith service is rudimentary for any local community. That is why we offer all of our services in extremely affordable rates and in competitive prices comfortably available 24/7 with our operators. For any additional question not on this page, please feel free to call us at Delta Locksmith in Houston and we will be there to assist. Call us now at (281) 936-0139.